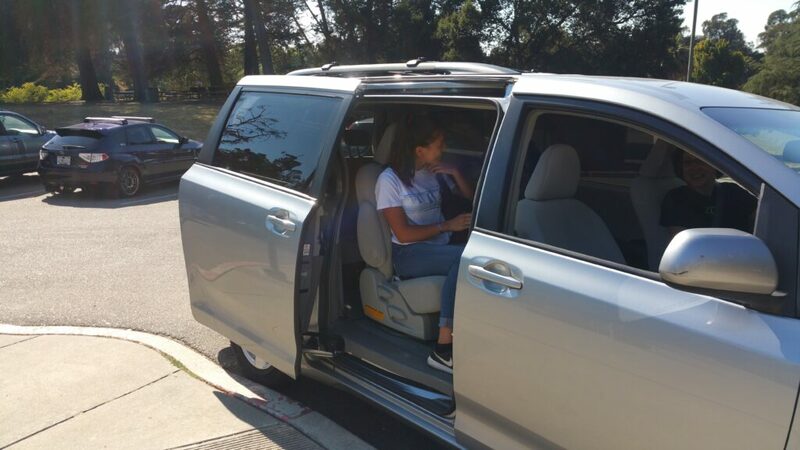 Deena Nouri, 14, using a Zum ride booked by her mother to get home from the Oakland Zoo, where she is interning. Twice a week, a Kango ride service driver picks up Mrigya Datta’s 2-year-old from the family’s San Francisco home to take her to daycare. Every day, another driver collects Datta’s 8-year-old daughter for her ride to school. Later the girls are picked up for the ride home. Datta is one of a growing number of parents using ride services to shuttle their kids — including toddlers — around. Besides Kango, two others are active in the Bay Area: Zum and HopSkipDrive. All three are founded and run by mothers. Zum, which landed $1.5 million in financing in March, has handled more than 50,000 rides since January, founder Ritu Narayan said. At Kango, founder and CEO Sara Schaer said the company isn’t disclosing its ride numbers but is growing between 50 and 70 percent month over month. HopSkipDrive would not release its ridership numbers; it has raised $14 million in financing. The burgeoning child ride service industry has the potential to transform the lives of more affluent parents with young children, providing them with an alternative way to get their kids to an often seemingly endless list of activities, often at inconvenient times in the middle of the work day. “It’s probably the single biggest improvement in my quality of life over any service or caregiver I’ve had since having children,” said Zum customer Lesley Matheson of Saratoga, whose children are 7, 10 and 13. “It’s a huge relief. When your kids get older, it’s a logistical nightmare,” said Matheson, who manages a family-owned commercial construction company. “It costs a lot more than Uber, obviously, but I don’t care. I want my kids to be safe and to have that peace of mind at work,” said Kat Nouri of Oakland. But there are downsides. There’s the anxiety of handing a young child over to a stranger. And the services are not cheap. Zum rides for individual kids are calculated by mileage and start at $16; carpool rides start at $8. The average Kango ride costs $24, Schaer said. HopSkipDrive’s minimum fare is $16 and $10 for a carpool. Parents say the advantages outweigh the costs. “It’s absolutely worth it for me because I have a full-time job and nobody waits for you — they expect you to be at work,” said Datta, an engineer. She estimates she spends just over $200 a week on Kango fares. As for handling parental anxieties, the ride services take multiple steps to reassure parents that their children will be safe. All three require drivers to have prior childcare experience and to undergo driving history, vehicle and background checks, including a check through Trustline, the fingerprinting system California uses to vet childcare providers. Parents can follow drivers on their smartphones, communicate with them at any time during a ride, and get messages from drivers at pickup and drop off. “What they do is alleviate the apprehensions a parent might have putting their kid into an Uber,” said Harry Campbell, an Uber and Lyft driver who tracks the industry and founded www.therideshareguy.com, which provides information and training to Uber and Lyft drivers. Datta said she has no qualms about placing her 2-year-old in the care of a Kango driver. At Zum, Narayan estimates that 1 in 4 passengers is in the 5- to 6-year-old range. 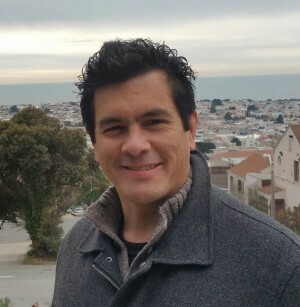 Kango started as a smartphone app to organize carpools; it launched a full ride service in September 2015 and has expanded to six Bay Area counties. It also offers childcare, as does Zum, which launched in January in the Bay Area and now also serves Orange County. HopSkipDrive, founded in 2014, does business in Los Angeles and Orange counties and the Bay Area. Datta’s initiation into child ride services came last year, after she and her husband moved to San Francisco from the East Coast. They have work schedules that occupied their early mornings, and at the time had no close friends in the area. “I was not very comfortable hiring an individual in a new city to care for my children — no network of mommies to rely on for good references,” Datta said. “A lot of these companies are growing because there’s obvious demand,” said Harry Campbell of www.therideshareguy.com. She turned to Shuddle, one of the earlier child ride companies. After satisfying her concerns about safety, Datta hired Shuddle to transport her eldest daughter, who was 7 at the time, to and from school. When Shuddle suddenly shut down in April, “it was a disaster for us,” Datta said. An online search turned up Kango, returning order to her life, she said. Nouri said that beyond the security measures, she likes that Narayan has children, as do virtually all the several hundred Zum drivers in the Bay Area and Orange County. “A lot of these companies are growing because there’s obvious demand,” Campbell said. Hasn’t anyone ever heard of this incredible concept called “school buses”? They were yellow and they used to pick kids up on their street and take them to school as well as take them home after school FOR FREE!!!! They were a public service provided by the then clearly delusional local government. This article just staggers me when I read about the millions of dollars of venture capital that is being shoveled into what could be a public service. The craziness of modern family life requires such solutions, if one has the money to pay for the ride. I personally could not live with the possibility of a car accident with my tiny child in the care of a stranger. Also, though the quality of conversation on a rushed morning ride to school with a preoccupied parent-driver is less wonderful than may be billed, parents and kids do communicate when they’re in a car together. Zum et al are a trade-off, but with real losses for kids and parents.